Public Diplomacy professionals always need a 360-degree view of how ideas are expressed, flow, and gain influence. Many points of view citied here are contentious, partisan, and/or biased; inclusion does not imply endorsement. U.S. legislation may be needed to require social media companies to disclose more about how their platforms are used for political advertising, a senior Democratic lawmaker said on Thursday, after new signs of Russian efforts to influence the 2016 election. Here is what U.S. leaders have to say about democracy . . . The State Department’s Global Engagement Center (GEC) is tasked with countering foreign state and non-state propaganda and disinformation targeting the United States and U.S. interests. In recent days, the intimidation campaign by Cambodia’s government against free speech has intensified. As a result, and out of concern for the security and safety of its journalists, Radio Free Asia (RFA) has made the difficult decision to suspend operations of its news bureau in Phnom Penh. The FBI recently questioned a former White House correspondent for Sputnik, the Russian-government-funded news agency, as part of an investigation into whether it is acting as an undeclared propaganda arm of the Kremlin in violation of the Foreign Agents Registration Act (FARA). Hong Kong’s public broadcaster RTHK dropped a 24-hour BBC World Service channel from its airwaves on Monday, replacing it with state radio from China in what critics say is a sign of encroaching Chinese control in the former British colony. While RT may have limited capacity to influence those not already sympathetic to its aims, its reach across social and traditional media, and freedom from any commitment to impartiality, equip it perfectly for an atmosphere of rumour and counter-rumour. [RT’s] PR strategy skilfully uses these criticisms to cater to the biases of an anti-establishment generation. Its motto encourages viewers to “Question More”, and its various advertising campaigns have successfully exhibited Western contempt and suspicion as a badge of honour. As jihadist attacks are increasingly being carried out by home-grown “lone wolves,” top counter-terror chiefs of four Western powers said Thursday they need more support from social media companies to detect potential threats. Russian operatives hiding behind false identities used Facebook’s event-management tool to remotely organize and promote political protests in the U.S., including an August 2016 anti-immigrant, anti-Muslim rally in Idaho, The Daily Beast has learned. Speaking on a visit to London, [Latvian Foreign Minister Edgars] Rinkēvičs said there was increasing evidence that Russia was automating disinformation on social media. Pointing to new NATO-sponsored research showing more than five times the number of Russian language tweets sent in Latvia concerning NATO came from bots, instead of from individuals. The figure in Estonia was nine times as many. He described the tactic as ”very systematic and a new way to spread propaganda amongst young people”. ISIS has taken a more advanced approach, targeting and utilizing a number of novel platforms to preach its jihadist ideology, thus blending tradition and technology in a sophisticated manner. Running a $2 billion campaign thanks to its oil monopoly in Syria, the group expertly commands usage of the cyber community in a multitude of forms: Twitter . . . Facebook, Google, Tumblr, Kik, WhatsApp, and more. Coupled with its use of more under-the-radar messaging apps such as Telegram (which is encrypted) and Surespot, ISIS is able to maintain a constant and steady presence on the Internet. After violent protests rocked Charlottesville . . . Senator John McCain took to Twitter to condemn hatred and bigotry and urge President Donald Trump to speak out more forcefully. Then pro-Russian bots got activated on social media. Within hours, an online campaign attacking McCain — a frequent Trump critic — began circulating, amplified with the help of automated and human-coordinated networks known as bots and cyborgs linking to blogs on “Traitor McCain” and the hashtag #ExplainMcCain. Social media platforms produce sizable corpora that analysts can use to assess public reactions to unfolding events, but there are significant technological and methodological challenges . . . . One of the defining challenges for SOCMINT is the ability to derive meaningful analysis from an extremely large corpus, which includes misspellings, sarcasm, regional patterns of linguistic expression, and constantly evolving idioms. For information categorized as open source, “we can consider social media, and more generally the Internet, as the single largest ‘database’ in existence.” With “nearly one-third of the world’s population now us[ing] social media,” the potential to find valuable information through this medium is infinite. Cyberspace’s role in warfare has yet to be properly integrated into U.S. war planning, largely due to this earlier debate over whether it will prove decisive or inconsequential. It is neither. Cyberspace will not be able to deliver cyber effects and threats that, alone, will shape adversary behavior. But if delivered in tandem with other domains, their effects will be meaningful. The Kremlin hacked our presidential election, is waging a cyberwar against our NATO allies and is probing opportunities to use similar tactics against democracies worldwide. Why then are federal agencies, local and state governments and millions of Americans unwittingly inviting this threat . . . . posed by antivirus and security software products created by Kaspersky Lab, a Moscow-based company with extensive ties to Russian intelligence.
. . . there is almost no positive message that Russia can use to beautify itself. Consequently its propaganda effort has turned almost entirely to the business of denigration and disruption. * * * hostility to immigration with an emphasis on the threat the “influx” poses to western values; support for President Assad in his battle against jihadists; denial that Syria has been responsible for chemical attacks; contempt for the European Union; claims that the West provoked the crisis in Ukraine; scepticism that the Russians were in some way responsible for the shooting down of Flight MH17; talking up any suggestion that electoral systems in the West are rigged; emphasis on any success by ethno-nationalist parties in Europe; a division of the sentient world into craven followers of the lying “mainstream media” on the one hand, and discerners of the truth on the other. Denmark and Sweden will cooperate in the field of hybrid threats, and there will be a strong focus on the problem with fake news and disinformation. This was the message in an op-ed published on Wednesday by the two countries’ defence ministers . . . under the headline “Russian fake news: a danger to our countries”. During the summer, we saw some new initiatives aimed at countering pro-Kremlin disinformation in Europe. On top of this strong Russian influence on the German domestic scene, there is an emerging clash of narratives between Berlin and Moscow. Angela Merkel[‘s] . . . insistence on promoting the European project and its ideals stands in stark contrast to the Kremlin’s illiberal democratic model . . . . Moscow’s support for Europe’s nationalist parties . . . has helped trigger a wave of anti-liberalism and anti-globalization cross Europe. Russia and Germany represent a battle of ideas with the former trying to denigrate the credibility of the latter. Russia has been long credited with having formidable information warfare capabilities. Russian information confrontation theory covers a wide range of these actions . . . stemming from cultural, ideological, historical, scientific, and philosophical viewpoints. $100,000 in political ads purchased by a shadowy Kremlin-linked “troll farm” on Facebook – that’s something important. In one sense, this purchase . . . represents a new frontier in Moscow’s historic propaganda efforts. Gone are clunky attempts to push the glories of communism and evils of capitalism. In their place are subtler attempts to emphasize existing social divisions in the United States, or sow entirely fake stories – a modern information war that Russia handles with “finesse,” according to one historian. The vast majority of counterintelligence cases I worked in the FBI involved a foreign intelligence service (FIS) conducting what we called “perception management campaigns.” Perception management, broadly defined, includes any activity that is designed to shape American opinion and policy in ways favorable to the FIS home country. Why, then, has China so consistently radiated hostility toward Japan instead of trying to seduce it? The conventional explanation is that Beijing doesn’t dare reach out to Tokyo because the Chinese remain collectively furious over Japan’s aggression and atrocities during World War II and the country’s subsequent refusal to apologize for them. But this view doesn’t hold up. There is a controversial new video out on NATO’s official YouTube channel entitled Forest Brothers. The gist of the 8-minute film is to lionize the brave Latvian, Lithuanian and Estonian fighters who took to the woods to resist the Soviet Union’s 1945 occupation of the Baltic States. …many Africans . . . mostly considered illiterate by “Western” notions of literacy . . . but deeply well-educated using their own local techniques provide insights into how effective government, civil society and community actors can deliver messages that work at the local level. . . . messages are effective only when the delivery is seen as both credible and knowledgeable of the local environment. Using techniques that fuse oral traditions and techniques like Ajami Wolof, Hausa or Swahili can provide major inroads to successful strategies to prevent violent extremists appeal in taking root in local environments.
. . . two recent reports . . . bring stark attention to the sheer numbers and risks of those that will become returnees to their western home nations. It is important to discern the nuances of the threat posed by these FTFs that will return home, and . . . the connection between FTFs and homegrown violent extremists terrorists (HVEs) who strike targets where they live.
. . . hate sermons are not indicative of the values of Islam or what it means to be a Muslim. Such sermons openly promote concepts that directly contradict those of a liberal society. They resist progression and increase discontent, leading to more terror attacks against innocent civilians. They threaten friendly, communal relationships, stirring suspicions of Muslims in a fragile world. Islamism is a specific understanding of Islam that holds if Muslims wish to return to the riches and power of 1,000 years ago, they must apply Islamic law in its entirety. Islamists argue among themselves how to do so: the modern-oriented Gülen movement in Turkey represents one extreme and ISIS, which wants to return to the seventh century, represents the other. Some Islamists use violence, others work through the political system. As we have pointed out on many occasions, the pro-Kremlin outlets love conspiracies. And the more shocking these conspiracies are, the better they serve the purposes of the disinformation campaign. For understandable reasons, the most shocking conspiracies include stories about violent death.
. . . the Pew Research Center . . . surveyed members of the five living and/or relevant generations (Millennials, Generation X, Baby Boomers, the Greatest Generation, and the Silent Generation) and asked them to name the ten most historic events occurring in their lifetimes, events that had the greatest impact on the country. All named the September 11th Attacks as the most historic—which is understandable if only due to our proximity to that epoch-shaping event. For Millennials, though, the collapse of the Berlin Wall and the end of the Cold War didn’t even make their top 12 history-making events. The young people sitting before Ash had spent some of their most formative years hearing that the news is fake. For the teachers responsible for educating them, this is a new problem. Whereas they once feared teenagers would fall for everything they read online, now teachers are increasingly concerned that their students will grow up not believing anything they read — or worse, believing the difference between what’s real and what’s fake is a matter of choice. ‘These are all fake news,’ said the honor student. He was wrong. Training in how to combat pro-Kremlin disinformation is a “top priority” for the 200 Danish soldiers who will be deployed to Estonia as a part of NATO’s Enhanced Forward Presence.
. . . next time you’re tempted to say you want to educate someone about something, think again. Try using a term that doesn’t carry the burden of condescension, like inform, familiarize, explain, clarify. Because nobody likes to be addressed in a way that makes them feel diminished . . . Try to avoid writing or saying educate. Use a kinder, gentler word. The Pakistani novelist Kamila Shamsie once observed that there are “two Americas” — one at home and one abroad. The first is the America of Hollywood, work-in-progress democracy, civil rights movements and Ellis Island. The second is the America of coups and occupations, military dictators and CIA plots, economic meddling and contempt for foreign cultures. The rest of the world knows both Americas. But as Shamsie has written, Americans don’t seem aware of the second one at all. I remain confident that new approaches can be found to establish a US role in the world order that helps protect Western ideas and interests. But that begins by abandoning notions of US primacy and deep engagement across the globe. And it involves a return to the original wisdom of the West: seeking not to dominate or be dominated but using checks and balances along with laws and institutions to carve out a stable and enduring new foundation. Vladimir Putin’s Russia has interfered politically in no less than 27 countries since 2004. They’ve launched cyberattacks in Estonia and Georgia. They’ve used disinformation campaigns in Lithuania, France, Germany, and Canada. And they’ve deployed organized crime groups in Spain. The US government’s decision to close the Russian Consulate General in San Francisco will complicate the citizen-to-citizen diplomacy . . . said Natasha Venzon, who heads the Rossinca cultural and educational center in San Jose, California. “‘Cultural Understanding + Sharing = Peace,’ is our commitment to building bridges among our peoples and nations and this mission would seem to be more timely now than perhaps ever before,” said Venzon, whose center educates children from Russian-language families living in the Silicon Valley area. “The Russian Consulate, and its core of dedicated diplomats, have been true partners in enabling our communities, at home and abroad, to celebrate the tremendous traditions and beauty of the Russian-language cultures we treasure and share.” She said that the US move was “only the latest challenge to our dreams for citizen to citizen diplomacy, especially among our youngest and most natural diplomats, our children. Gessen’s theory, in part, is that the USSR robbed its citizens of “the ability to make sense of one’s life in the world,” an ability that is “a function of freedom.” They lost “the intellectual tools for sensemaking,” and so “the only stories Russia told itself about itself were created by Soviet ideologues.” Moreover, she claims, the system’s co-optation of intellectuals reinforced this effect. When the USSR existed, calling someone “anti-Soviet” was one of the most damning labels, even if some wore that as a badge of honor, Artemy Troitsky says; but now that it has ceased to exist, efforts to use “Russophobia” in the same way don’t work nearly as well. Not only has a large part of the older generation which was compelled to learn Russian in Soviet times in the former republics and Warsaw Pact countries passed away with younger people choosing not to learn Russian but rather English and other languages, they say, but Russia no longer offers the kind of ideological attractions that caused some to learn Russian in the past. Is Putin Attacking Non-Russian Languages Because of Decline in Number of Russian Speakers in the World? Moscow City Hall exercises tight control over the editorial policies of local newspapers, distributing weekly guidelines to newsrooms that allegedly describe what topics should be discussed in published stories and how certain stories should be written. Last Sunday is likely to pass into history as “the birthday of political Islam in Russia,” . . . a development that represents a turn of events that will leave the country “much changed” however the Kremlin responds. What signaled this development . . . was a demonstration by Muslims in front of the Myanmar embassy in Moscow against that country’s repression of the Rohinja minority . . . . In Vladimir Putin’s Russia, hackers can be patriotic heroes or hackers can be criminals. It just depends, of course, on whom they are hacking. It is not surprising that the Kremlin is using disinformation and other dirty tricks to sow confusion in Western countries and undermine faith in democratic systems. Russia’s leaders are convinced that Western democracy is a threat to the authoritarian order in a country they have cowed into submission. Russia has meddled in the affairs of at least 27 European and North American countries since 2004 with interference that ranges from cyberattacks to disinformation campaigns, according to an analysis by a surveillance organization. Media reports and outside experts contend that the Russian government is seeking to influence European political discourse, policymaking, and electoral processes . . . . the use of disinformation, the spread of fake news, cyberattacks on government or political party computer systems, and the cultivation of relations with European political parties and allies broadly sympathetic to Russian views. Efforts by the Russian government to influence Europe’s political landscape appear aimed at sowing disunity and destabilizing the EU and NATO.
. . . the most repeated piece of disinformation was the old favourite linking Nazis and Ukraine. So, the country was accused of being a neo-Nazi monster created by the West, as well as being occupied by Nazis who follow in the footsteps of Goebbels. There was no specific mention of the actual occupation of parts of Ukraine. . .
Australian academics have backtracked after their teaching materials received complaints from Chinese students. “Wherever he goes, Xi Jinping sets off a whirlwind of charisma!” hyperbolises a narrator from China’s Communist party-controlled broadcaster, CCTV. * * * The scenes are part of a four-and-a-half-hour television extravaganza being screened in China this week in a bid to burnish the president’s leadership credentials ahead of a key political summit . . . I have seen firsthand how difficult reporting from China can be for foreign correspondents. They are routinely harassed, sometimes even physically attacked, followed, and face constant barriers in their job. Written by the Ministry of Education, the new national editions will replace a number of different versions on the market for three subjects — Chinese language, history, law and ethics — with added focus on traditional culture, revolutionary history, and ideology. Many Korea specialists in Washington favor a major increase in pressure tactics, known as “strategic strangulation.” The U.S. would expand the use of cyber hacking and other covert methods to disrupt missile development and unnerve the government; it would flood the North with smuggled flash drives loaded with uncensored entertainment and information. We chatted, and I asked him if he’d been to the United States. Never, he said. I had wondered what it must be like to experience the United States through the fog of Twitter. It turned out that it wasn’t much different from Americans trying to make sense of North Korea through its propaganda. Information. Defectors are already sending information into the North about the outside world. The U.S. and its allies can expand that effort and encourage elites to defect or stage an internal coup. North Korea on Thursday vowed to execute reporters from two South Korean newspapers, saying they insulted the country’s dignity while reviewing and interviewing the British authors of a book about life in the isolated country.
. . . public perceptions can easily be manipulated in such a way as to discredit diplomatic initiatives. Pyongyang has consistently led its populace to believe that the outside world represents an existential threat. By closing the country to external information sources and producing a steady stream of anti-Western propaganda, the North Koreans have fostered an ideology of perpetual conflict . . . . even if US and South Korean information and messaging operations were able to penetrate North Korean defenses, it is unlikely that they would resonate with an audience primed to distrust all Western influence. The Department of Homeland Security and FBI issued a new warning on Wednesday that North Korean government hackers are continuing to target critical U.S. infrastructure for cyber attacks.
. . . 41 different websites are blocked in the country, including the Cuban Free Press Project and Freedom House, an independent watchdog organization that advocates for greater civil liberties around the world. Iran’s clandestine spy network has been threatening and blackmailing scores of journalists, even going so far as to detain and threaten the family members of these reporters, in order to ensure positive coverage in global media outlets. Over 26 years since it broke away from the Soviet Union, Moldova still struggles to find its balance in an increasingly divided region. The country has become one of the battlefields in the information war that Moscow is waging in — and with — the West . . .
Mideast pundits often speak in terms of “age-old” ethnic and religious conflicts, or of “deeply entrenched” attitudes or prejudices. A closer look at the evidence, however, reveals that Arab public opinion can sometimes change dramatically, both for better and for worse, in the space of just a year or two. Another common cliché . . . is that Arab youth are more militant than their elders. The data to disprove both false assumptions come from the very timely case of the Palestinians in Jerusalem . . . 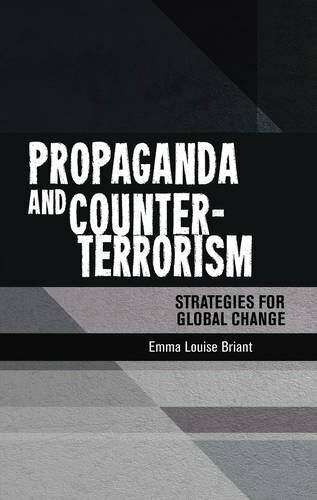 The output of IS’s vast propaganda apparatus demonstrated a high level of forethought and guidance, exemplifying the strict control IS leadership had over its content. As such, IS’s propaganda provides a useful tool for understanding the caliphate’s broader strategy. Almost half of American undergraduates and 96,000 international students begin their studies at [community colleges]. Typically, annual tuition is half that of public four-year institutions. Many offer intensive English classes, which help international students to succeed in their studies. As students arrive on campuses for the fall semester, fewer of their classmates are likely to be from overseas, a new Chronicle survey has found.
. . . Pomfret’s article suggests that Chinese students go to the U.S. to study, do not assimilate into American culture, only choose to hang out with their countrymen, and only get in because universities are cash poor and Chinese students can pay the full tuition freight. * * * You can tell that story, but I prefer to stick with what’s actually happening in the vast majority of cases, not just hyper-headlined clickbait.